Hard to believe, but yes it’s time once again to begin focusing our attention on tourism this summer in Plumas County and the ever-so-important impact it has on our local economy. With that in mind, we are once again working on Feather Publishing Co.’s annual Plumas County Visitors Guide — it’s actually a work in progress all year long. The full-color, high-quality magazine is packed full of information detailing virtually everything our county has to offer to both visitors and locals alike. Some 90,000 copies will be distributed free to hundreds of locations in our region throughout 2019. As a way of extending its reach to entice more visitors to our very special niche in California, and as an added value to our advertisers, we also post the entire magazine in a user-friendly format on our website, plumasnews.com. The electronic version of the visitors guide gets hundreds of views monthly throughout the season. Local business owners and service and hospitality providers should continue to consider this informative publication an annual “must-buy” advertising investment. The deadline for advertising space is just around the corner so expect your local newspaper’s advertising representative to be discussing this with you soon. If you want to make sure you have space reserved in this product, call your local newspaper office or give me a call at 283-0800. We’re ready and willing to help you design an effective ad tailored to both your budget and your business. 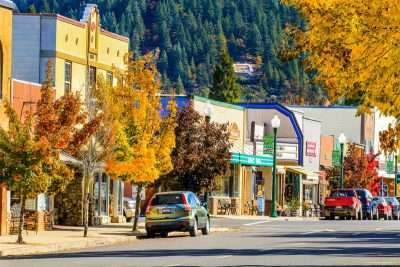 It’s the single most effective print and electronically packaged product used to entice vacationers and day-trippers to come and spend money in Plumas County. In that regard, consider your advertising investment in this product a partnership with your community and with us because that is what makes this comprehensive and informative guide possible.